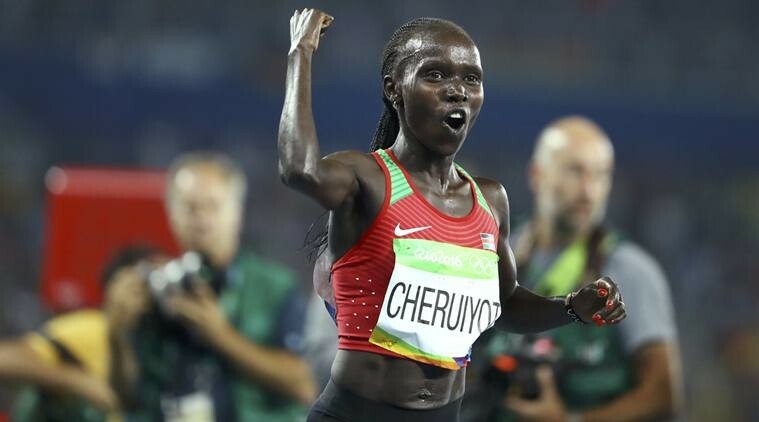 Mercy Cherono is a Kenyan long-distance runner. 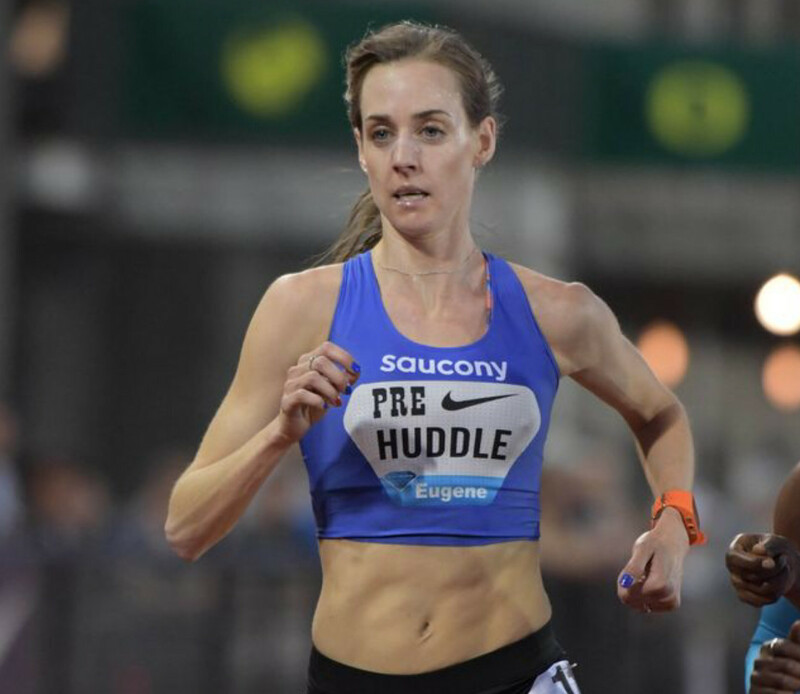 She was the silver medalist in the 5000 meters at the 2013 World Championships. 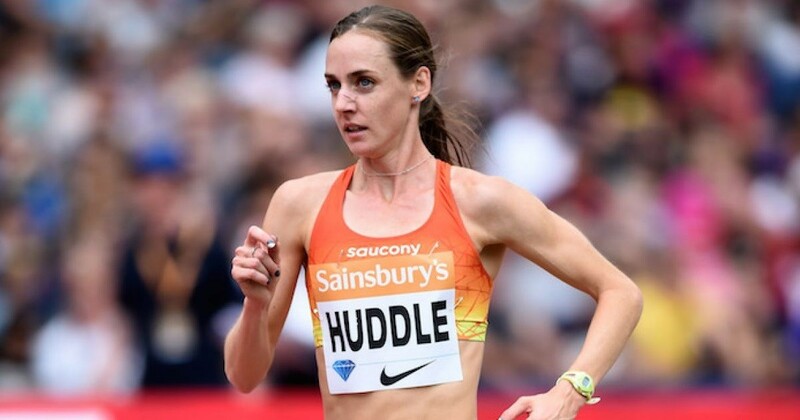 She is a two-time world junior champion in the 3000 metres (2008, 2010) and has also won gold medals at the 2007 World Youth Championships in Athletics and 2008 Commonwealth Youth Games. The great Champion is back after a long maternity leave break. The 5000M commonwealth games gold medalist Mercy Cherono (in yellow) in action during her home Bomet County Ahletics Kenya Cross Country competition. Cherono hopes to join the elite club of greats runners who posted impressive shows on their return from maternity break. 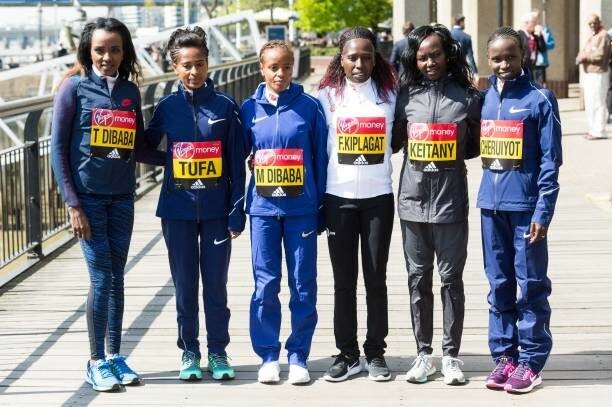 These include London Marathon winner Vivian Cheruiyot, women-only world marathon record holder Mary Keitany, two-time Berlin Marathon winner Florence Kiplagat and Ethiopia’s Olympic champion Tirunesh Dibaba. She got married in 2016 and gave birth to a baby girl in 2018. Mercy has a PR of 8:38:51 in 3000m which she set in 2012. 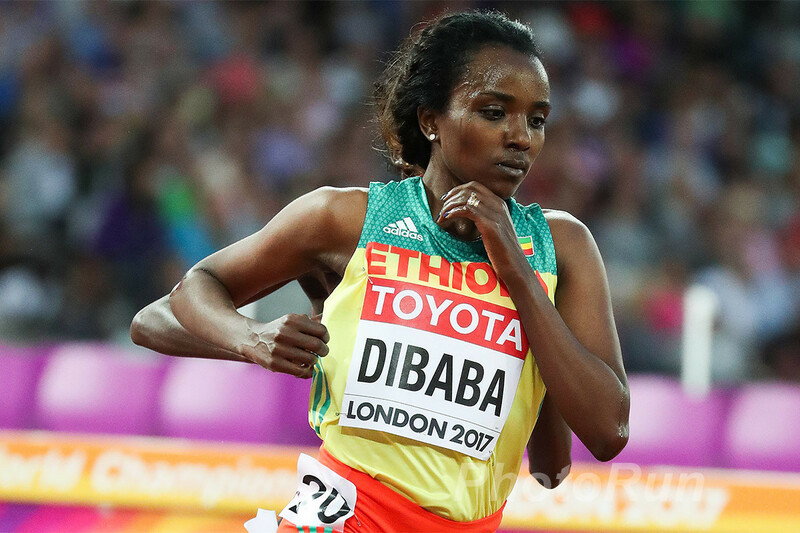 Her beauty and style appeals to many in the global athletics scenes. 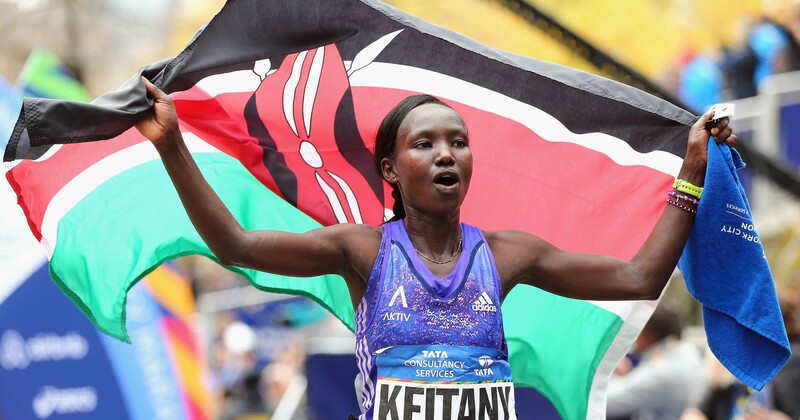 The great champion who started running while in primary school and mentored by her father John Koech who also runs a training camp in Kipajit village, has a most promising career. 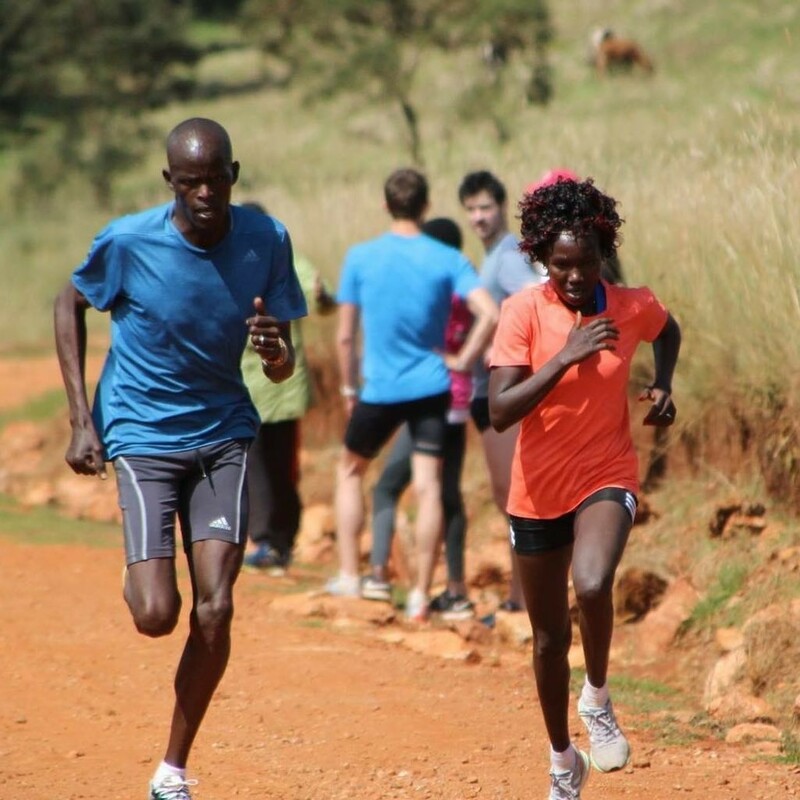 Mercy is coached by Gabriel Kiptanui. She is the oldest in her family of six. 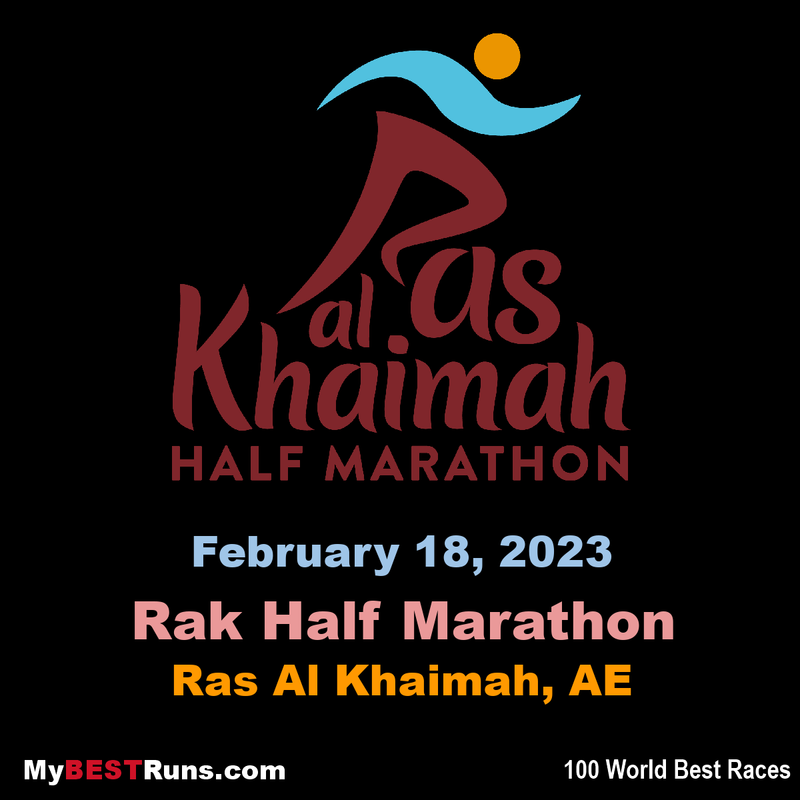 Bedan Karoki of Kenya last year retained his Ra’s Al Khaimah Half Marathon title from 2017 (59:10), storming to a 58:42 and leading six others under the one-hour barrier. 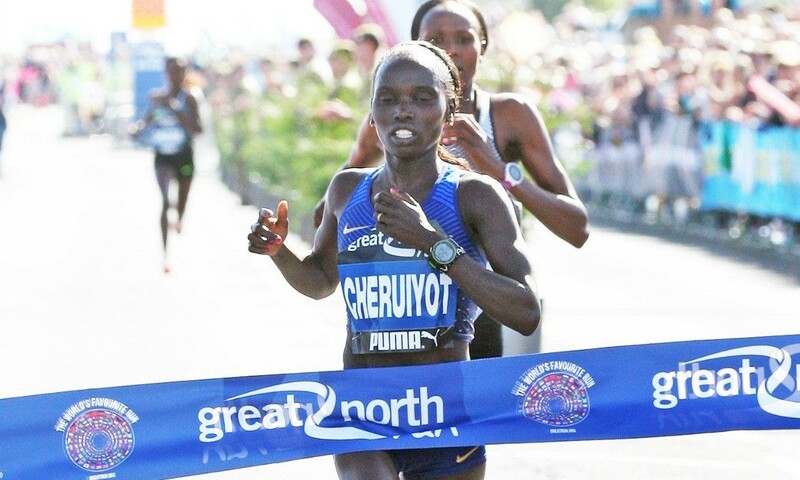 In the women’s race Fancy Chemutai from Kenya missed the three-month-old women’s world record by just one second with her 1:04:52 clocking in a memorable clash with Kenyan Mary Keitany. 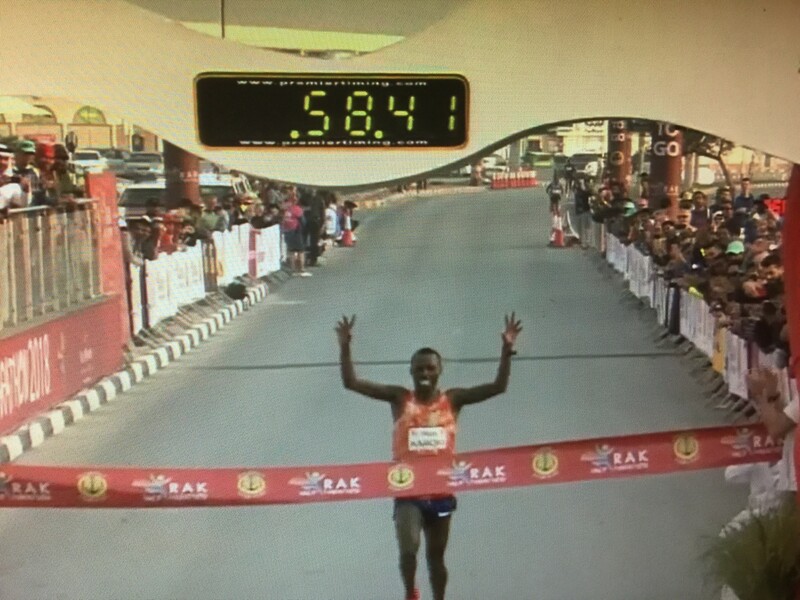 Topping this year’s men’s line-up is Ethiopia’s Abadi Hadis, who on October 20 was third at the Valencia Half in 58:44, in only his second outing over the distance. His fabulous track times at 5000m and 10,000m plus his Cross Country pedigree, single him out as a genuine all-round racer, and if his 2018 form on road and track is maintained, he will be the one to beat. 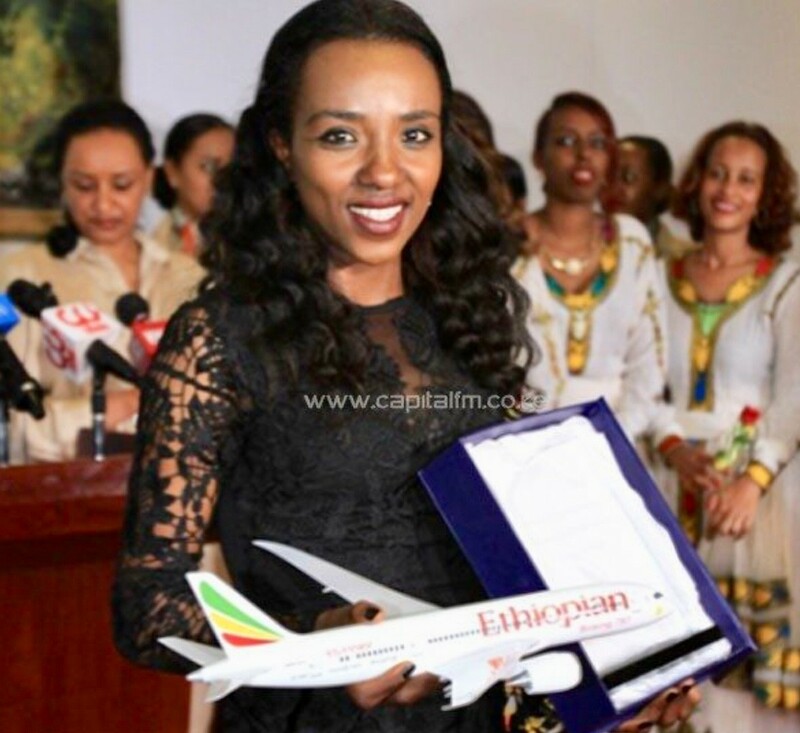 Behind the young Ethiopian is a host of top Kenyans and fellow Ethiopians. Jorum Okombo is one of the former, placing fourth last year (59:36) when just 20, but with a 58:48 best when runner-up in Copenhagen 2017. Despite a string of fast times over the last two years, he has yet to win a half marathon. 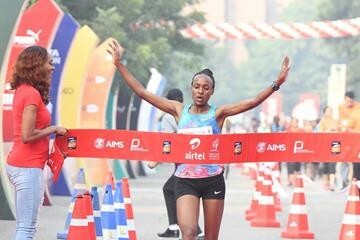 The experienced Alex Korio has been consistently under the magical 60-minute barrier in recent years, while fellow Kenyan Daniel Kipchumba, after winning his debut half in Italy last April, went on to win the Copenhagen Half last September in 59:06, and was again under the hour in New Delhi in October. While not yet a sub-60 minute performer, much attention will be focused upon Switzerland’s latest road sensation Julien Wanders. 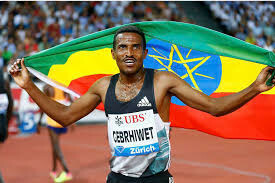 Spending much of the year training in Kenya, the 22-year-old set a 27:25 European 10km record in Paris on 30 December, and with his 1:00:09 half marathon best last February, is perfectly poised to become just the fifth European ever to break the one hour mark. Thousands of charities sign up runners to collect donations at the race. Last year they raised 63.70 million pounds, taking the cumulative total to 955 million pounds since the first event in 1981. 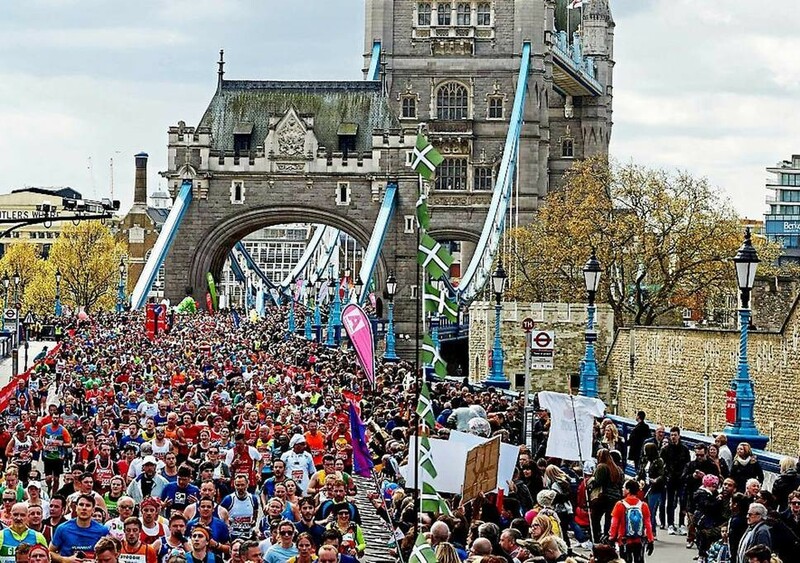 "This is a phenomenal achievement and part of what makes the London Marathon unique. No other mass participation event comes anywhere near this kind of fundraising," Hugh Brasher, the race's event director, said. 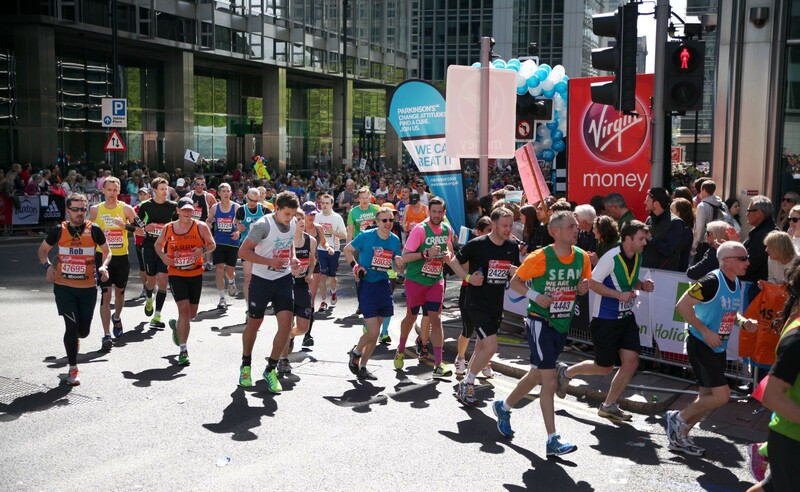 Alzheimer's Society and Alzheimer's Research UK are the race's official charities in 2019. 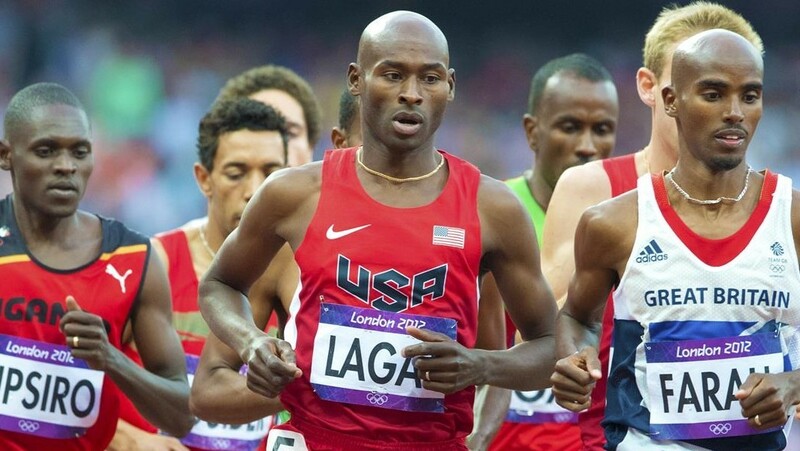 The men's event pits world record holder and three-time London marathon champion Eliud Kipchoge of Kenya against four-time Olympic champion Mo Farah. 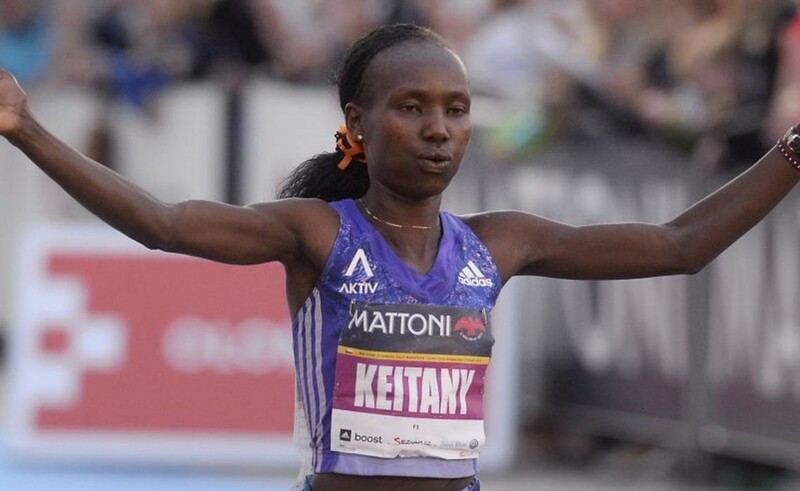 In the women's field, defending champion Vivian Cheruiyot of Kenya is set to take on her compatriot and New York City marathon champion Mary Keitany. 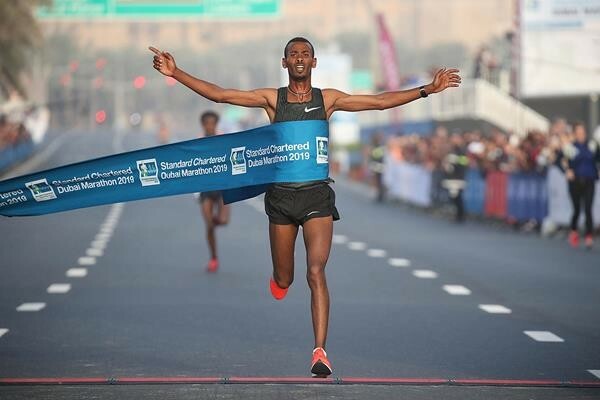 Dubai Marathon winners shattered records at this year’s race, beating tens of thousands who donned their running shoes early Friday morning to participate in the iconic sporting event. 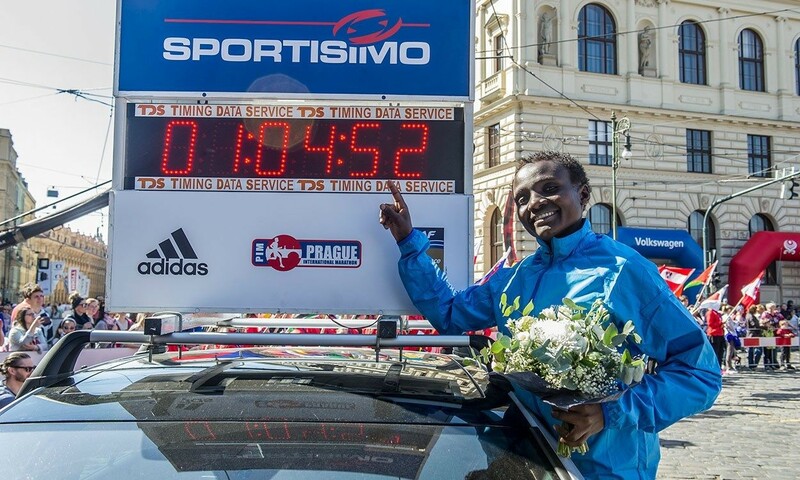 Ethiopian Getaneh Molla and Kenyan Ruth Chepngetich broke the course records in the 19th edition of the marathon, with Molla clocking 2:03:34 or about roughly half minute faster than Mosinet Geremew’s 2:04:00 set last year. 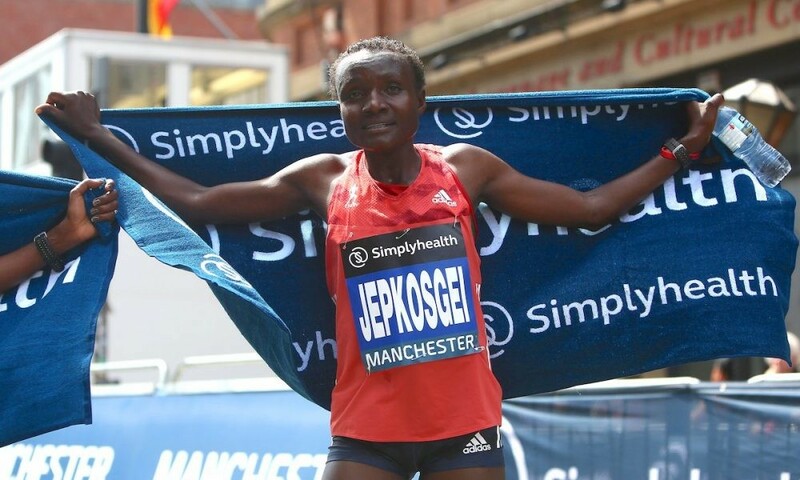 Chepngetich emerged as the winner for the female division, finishing the race with a time of 2:17:08 shattering the course record of Roza Dereje at 2:19:17 at last year’s race. Molla’s winning time of 2:03:34 took 26 seconds off the course record that was set last year and puts him sixth on the world all-time list. 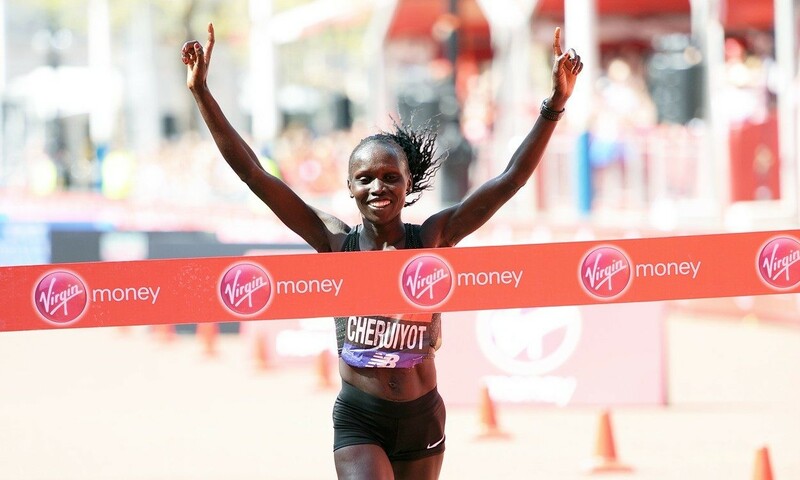 Chepngetich, meanwhile, took 87 seconds off the PB she set in Istanbul just two months ago to win in 2:17:08, an improvement of two minutes and nine seconds on the previous course record. 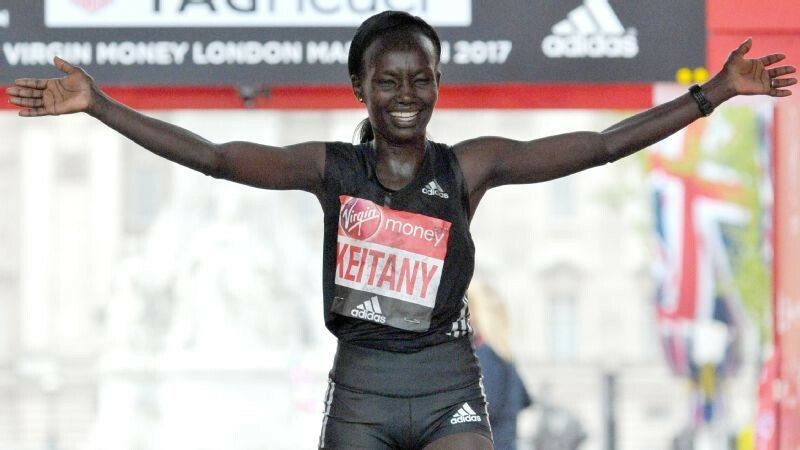 It moves her from eighth to third on the world all-time list behind world record-holder Paula Radcliffe (2:15:25) and Mary Keitany (2:17:01). 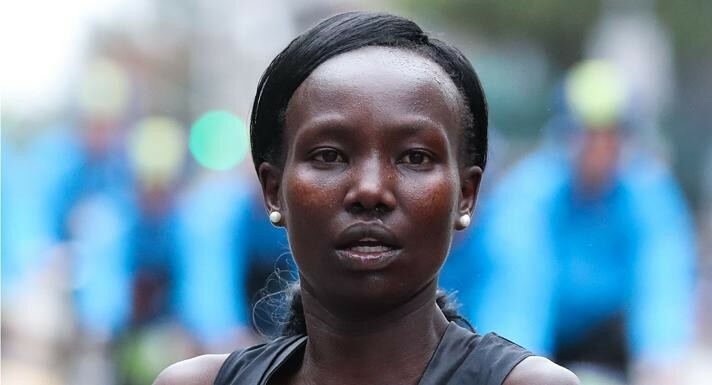 Peris Jepchirchir wants to make a comeback after a year-long maternity leave. She has been traversing the tea plantations in Kapsabet and Nandi Hills in Nandi County where she trains. 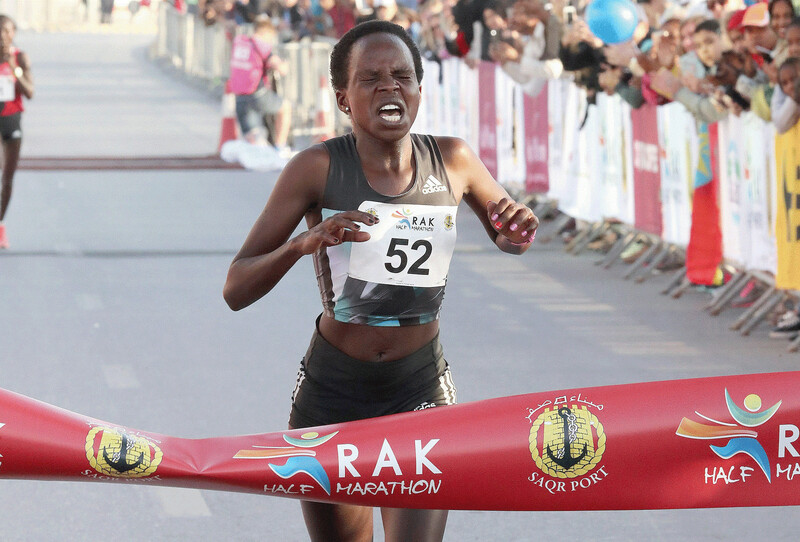 “I’m happy I will be going back to RAK Half Marathon next month after good training and my target is to lower my personal best and if possible go for the record,” Peris said. She is coached by her husband Davis Ng’eno. 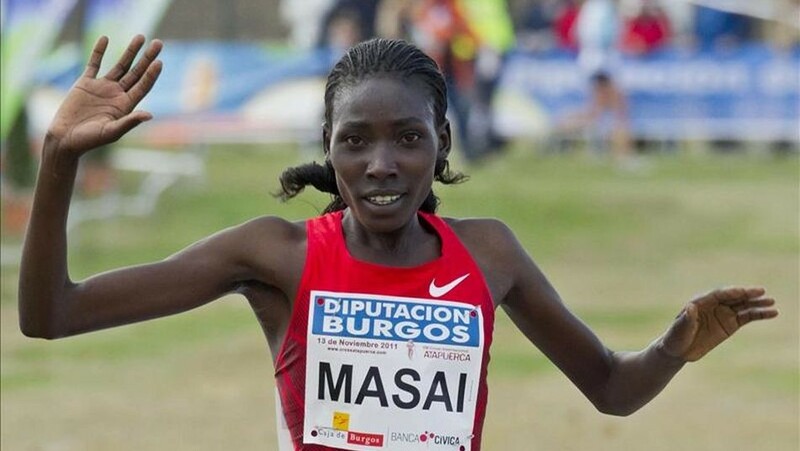 Peris told Nation Sport at her home in Kapsabet after her long run. 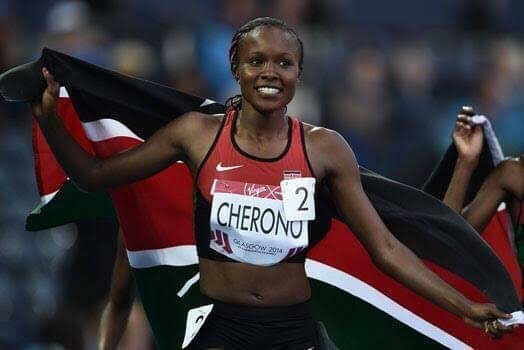 Jepchirchir, who will making her third appearance in the United Arabs Emirates race, said she loves the course as it allows for a fast-paced race. 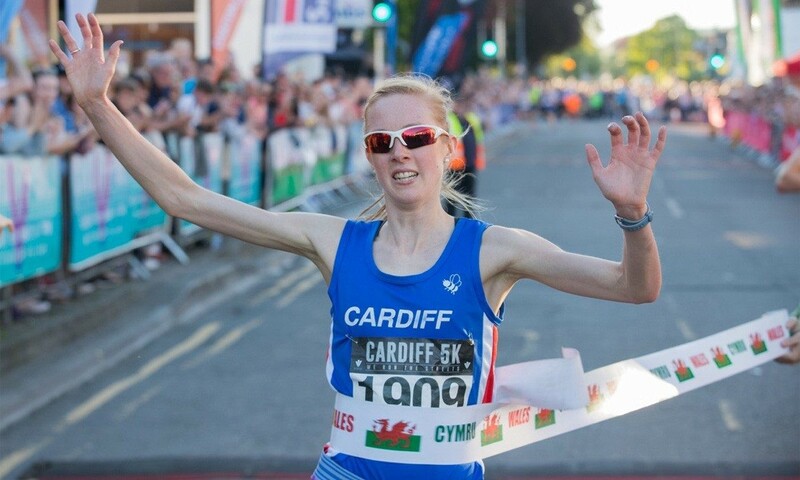 “I want to see how my body reacts as my build up towards an international marathon continues. 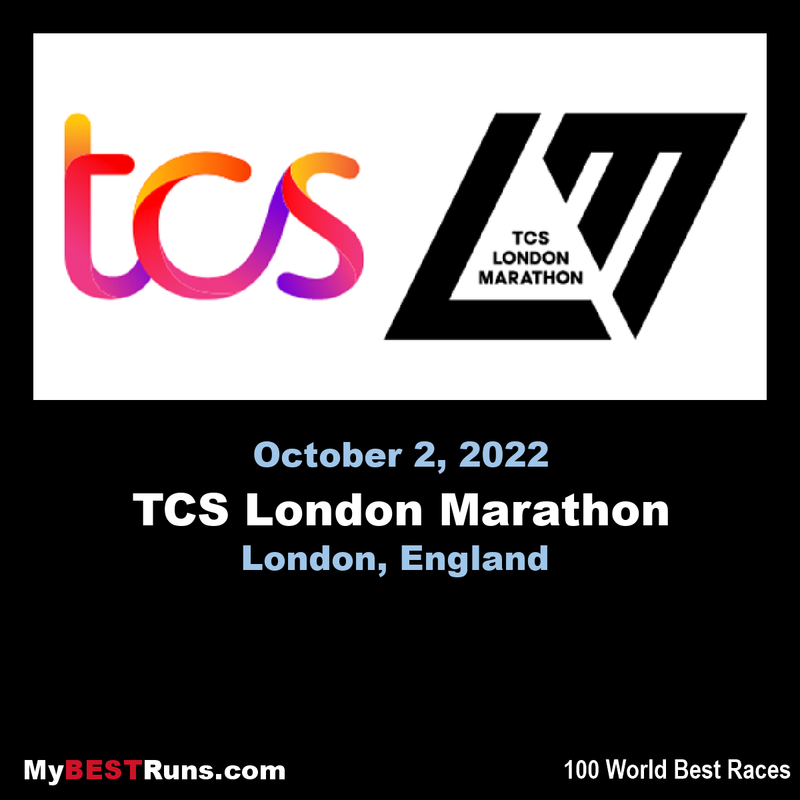 I’m yet to know which race I will participate in but I’m targeting April,” she said. 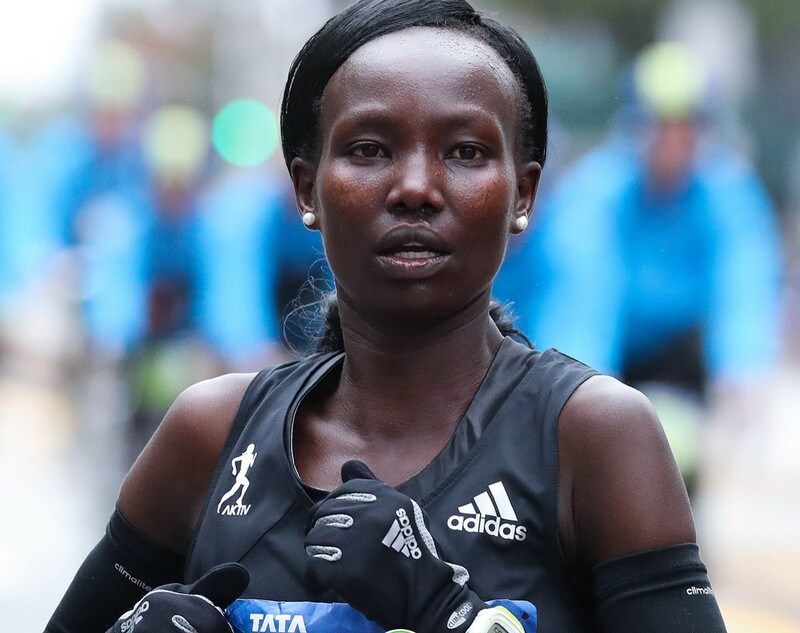 In her marathon debut in November last year, Jepchirchir ran a brilliant race in Kass International Marathon in Eldoret where she finished third in 2:39:16 behind Cynthia Jerop (2:39:16) and second-placed Beatrice Ruto (2:45:07). “I had trained for only six months for Kass but was surprised after emerging third. That gave me belief to continue working hard in training where I want to have a successful transition from half marathon to marathon races. “Breaking the world record is something good and I have been there before. 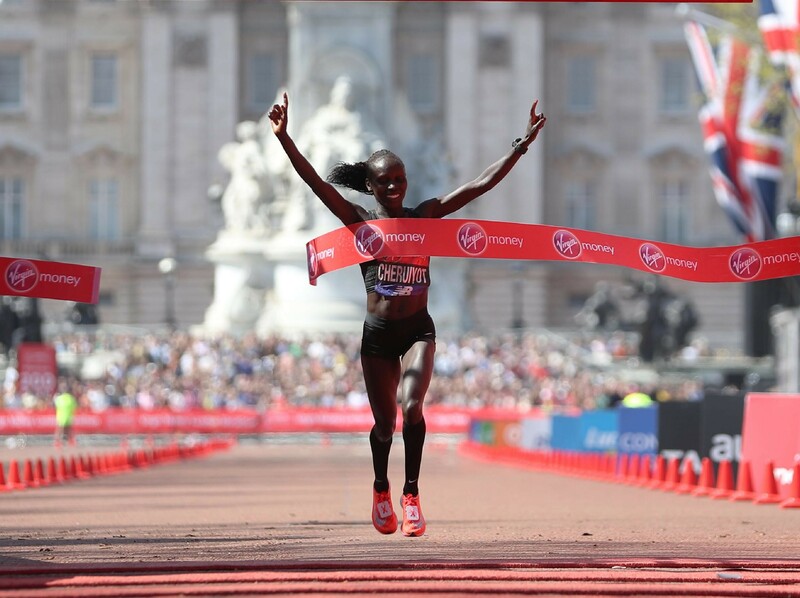 I want to be in the history books again and if I miss it at RAK, I will be going for the full marathon record in future,” Jepchirchir, who looks up to Mary Keitany for inspiration, said. 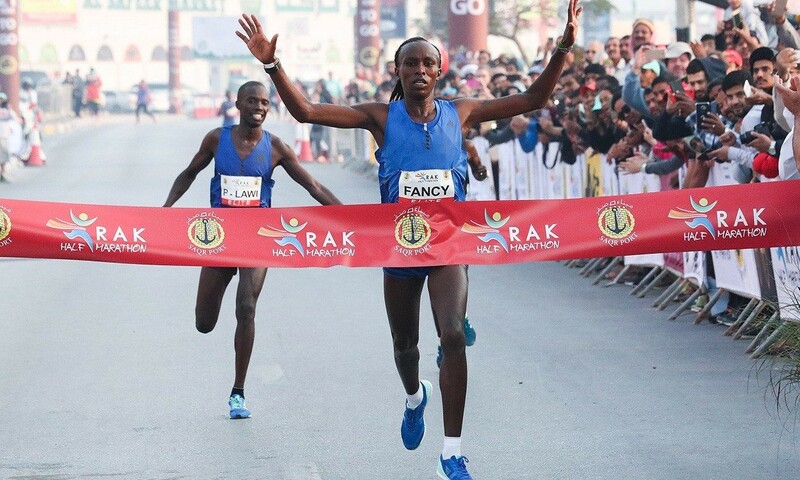 Jepchirchir shattered Florence Kiplagat’s world record in 2017 by clocking 1:05:06 at the RAK Half Marathon. 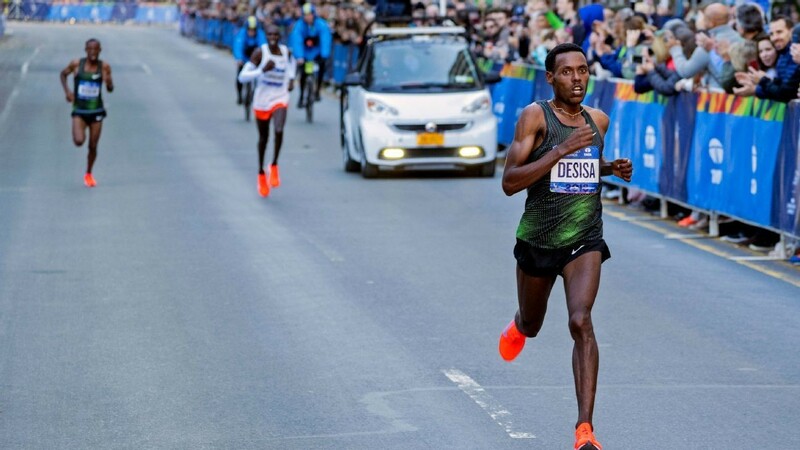 Four-time TCS New York City Marathon champion garners public vote after recording second-fastest time in event history. 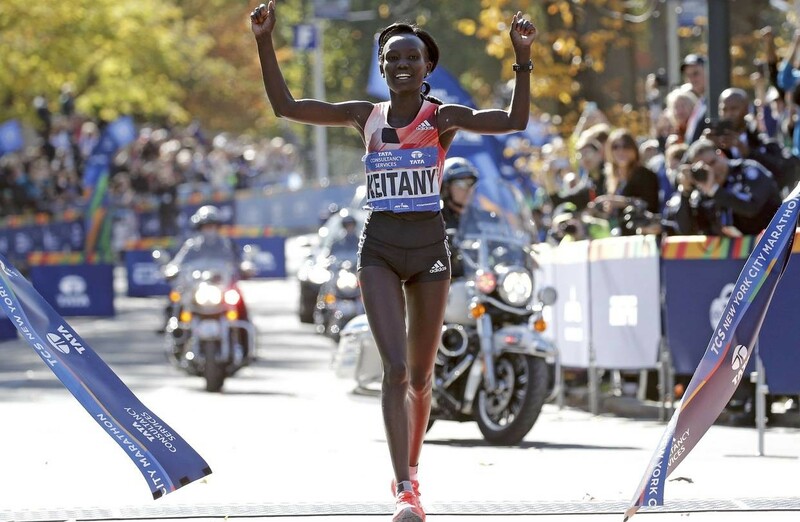 Mary Keitany was voted the 2018 New York Road Runners Pro Performer of the Year by the public after recording the second-fastest time in New York City Marathon history en route to her fourth title, and winning her third NYRR New York Mini 10K. The NYRR Pro Performer of the Year award recognizes the top athlete for his or her outstanding achievements at NYRR races over the entire year. 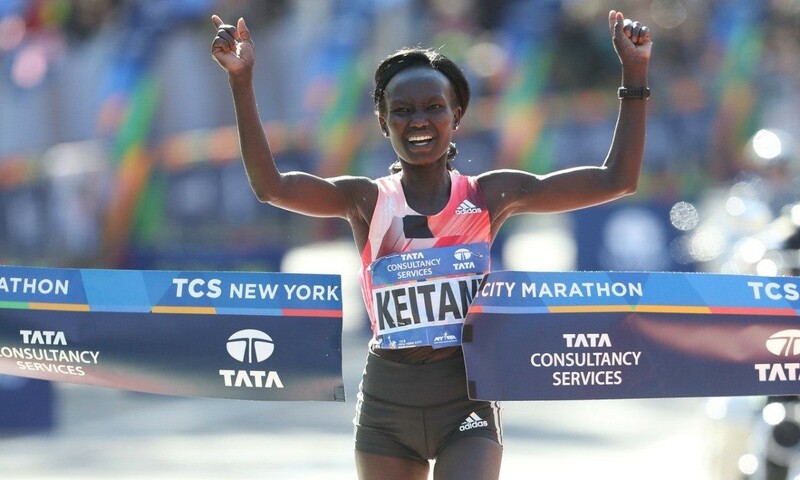 Keitany, 36, won her fourth TCS New York City Marathon title in November, easily out-pacing the field to finish in 2:22:49, just 17 seconds off the course record. 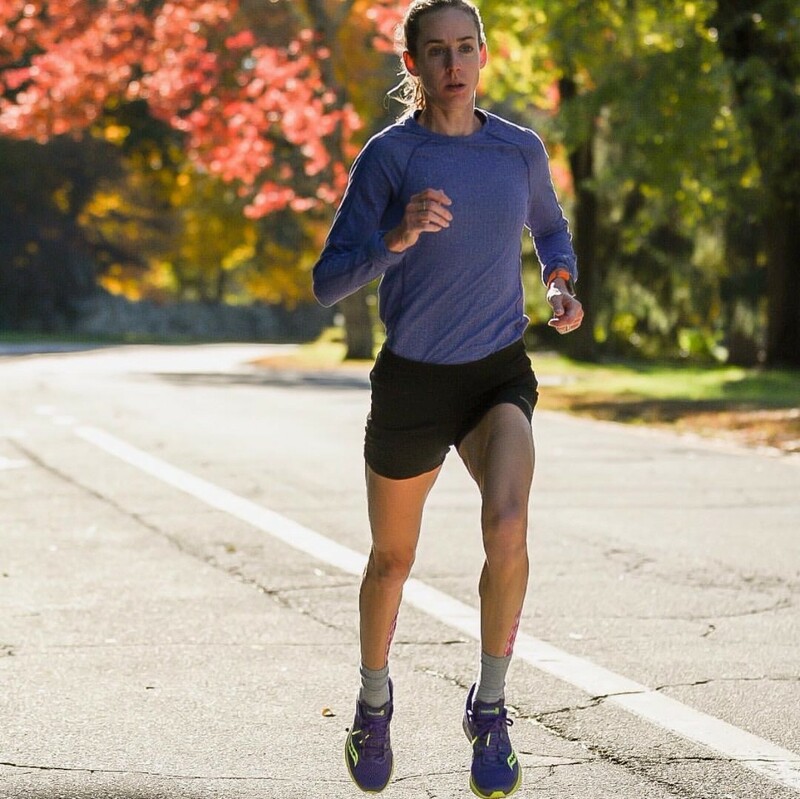 Her second-half split was faster than the U.S. half marathon record of 1:07:25, and she now has the second-most New York City Marathon victories in history in the women’s open division after Grete Waitz. 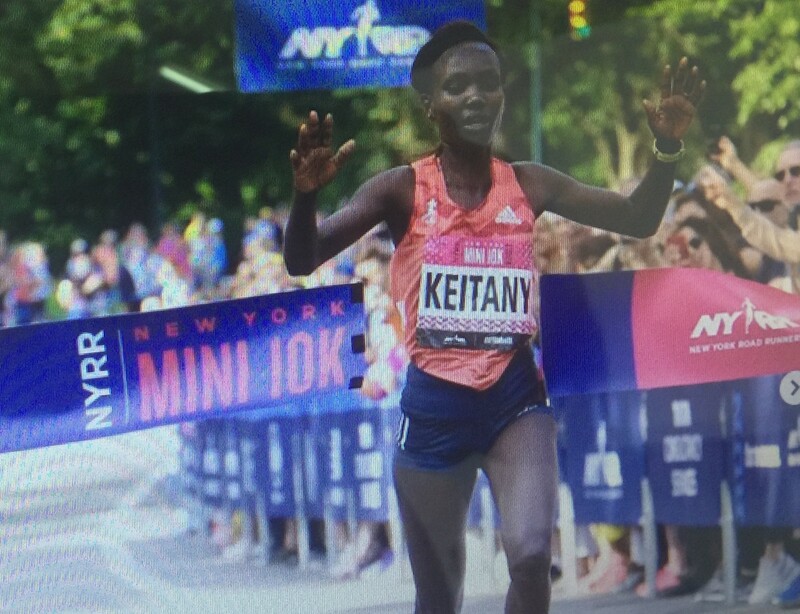 Earlier in the year, Keitany won her third NYRR New York Mini 10K in a time of 30:59, the fifth-fastest time in the event’s 47-year history. 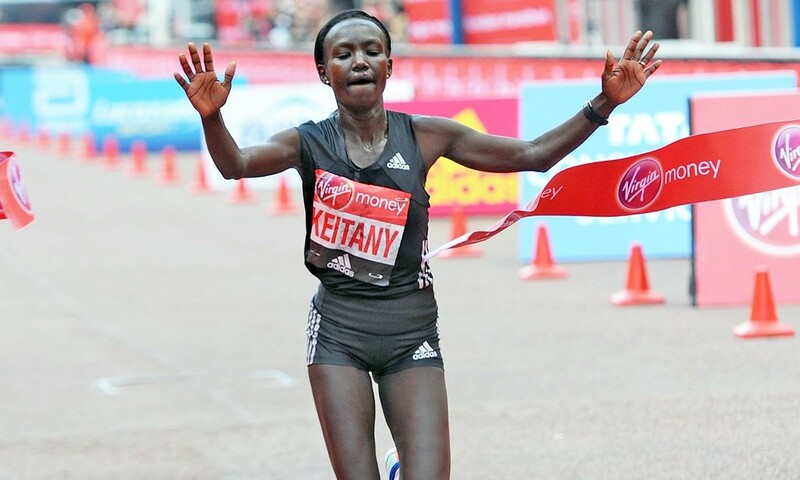 "By winning her 4th TCS New York City Marathon and third NYRR New York Mini 10K this year, Mary Keitany put on a show for runners and viewers around the world with her amazing performances on the roads in 2018," said Michael Capiraso, president and CEO of New York Road Runners. 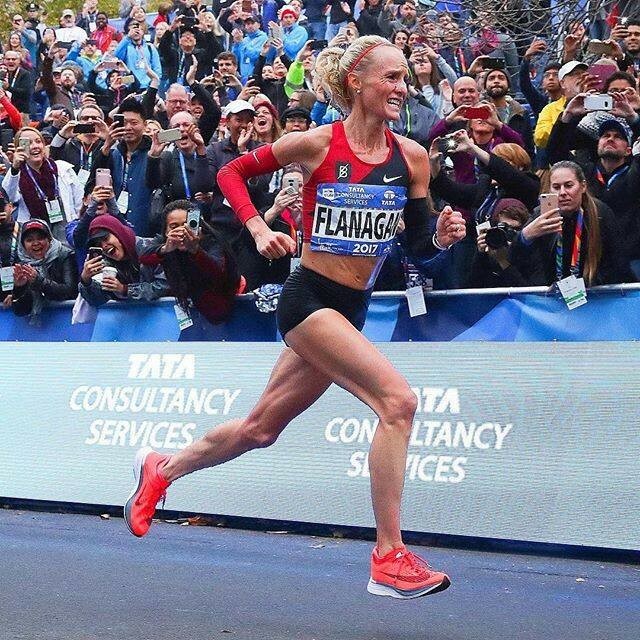 "Mary is like to New York Road Runners, and we are extremely grateful to have one of the greatest marathoners of all-time be such an inspiration to our running community here in New York."